Labor Day is around the corner and families are planning their last minute vacations and day trips. The last thing you want is for your kid to get sick when they are supposed to be enjoying themselves during the holiday weekend. 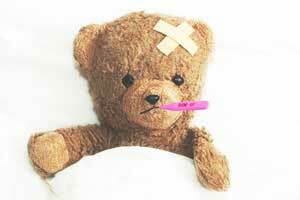 Plus, if your child does get sick, it's more likely that you and others in your family will get sick too. Dr. Yael Halaas, an ear nose and throat (ENT) doctor in the NYC area, came up with these great tips on how to avoid getting sick over the Labor Day weekend. One of the first ways to ruin a vacation together is catching a cold on a plane. Carry antibacterial wipes and wipe down every surface you may touch on an airplane. Wipe the belt buckle, food tray and latch, volume control, and armrests. The airline crew cannot clean all these surfaces between flights which can harbor contagious viruses and bacteria. Wash your hands especially before touching your own or a loved one's eyes, nose or mouth. When traveling, it is impossible to avoid contact with surfaces that many others may have touched. To avoid those bugs contaminating your family, wash your hands as often as possible. On family vacations with everyone close together, take Cold-EEZE at the first sign of a cold to shorten the duration, minimizing the amount of time you are sick to better enjoy your vacation. Cold-EEZE zinc lozenges have been found to decrease the duration of colds by nearly half in studies by Dartmouth Medical Center and the Cleveland Clinic. Also, by shortening your cold, it minimizes the chances of spreading the cold to your family members. Carry medications with you to minimize the impact of a cold or illness so you can all still enjoy your trip. Useful medications include analgesia, like Tylenol, or allergy medications for adults and children. Adults may also want to have some decongestants handy, just in case. Follow these simple and easy-to-follow tips for how to avoid getting sick and have a fun and safe Labor Day Weekend! 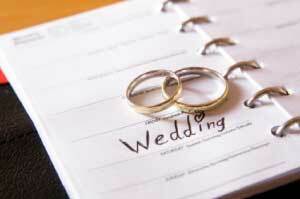 Save Time, Money and Your Sanity ~ Follow These 8 Smart Tips While Planning Your Wedding!